Christopher Dwayne Tomlin was born on the 4th May 1972, in Grand Saline, Texas, USA, and is a contemporary Christian music artist, worship leader and songwriter. Chris is widely known for his songs “How Great Is Our God”, “Jesus Messiah”, “Our God” and “Amazing Grace (My Chains Are Gone)” as well as for being the world leader of Passion City Church in Atlanta, Georgia. Have you ever wondered how much wealth he has accumulated so far? How rich Chris Tomlin is? According to sources, it is estimated that the total amount of Chris Tomlin’s net worth as of early 2016, is $2 million. It has been acquired through his music career that has been active since 1993. Chris Tomlin was born the eldest of three sons to Donna and Connie Tomlin. His interest in music dates back at the age of nine when he started playing guitar along with Willie Nelson records. By the age of 14, Chris Tomlin had already written his first song of praise. He enrolled at Tyler Junior College where he studied physical therapy, and later attended Texas A&M University from which he graduated with bachelor of science degree in psychology. During the mid-1990s, Chris started his career as a worship leader at the Dawson McAllister Youth Conferences and various church camps in Texas. These engagements provided the basis for his net worth. After graduation, Chris Tomlin and a few friends formed the band Breakaway and worked with the Harvest Ministry at The Woodlands United Methodist Church in The Woodlands, Texas. In 1997 Chris met Louie Giglio, leader of the Christian group named Choice at Baylor University in Waco, and soon they teamed up and Giglio’s group grew into Passion, a nationwide organization for young Christians. Among the first signings of Six Steps Records, Giglio’s record company, was Chris Tomlin who subsequently released his first official solo album, “The Noise We Make”, in 2001. These ventures certainly helped Chris Tomlin to increase his net worth. Chris’ popularity started to rise dramatically, and in 2002 another studio album hit the charts – “Not To Us”. He then moved to Austin, Texas where he started serving as a pastor at Austin’s Stone Community Church. Chris Tomlin’s 3rd studio album was released in 2004, “Arriving”, and sold over 500,000 copies. In 2006, his dedication and passion were recognized, and he was nominated for two Grammy Awards for his 4th album, “See the Morning”, which peaked at No.1 on Billboard’s Christian album chart. All these accomplishments have added a significant sum to Chris Tomlin’s overall net worth. In his career so far, Chris Tomlin has released 12 studio albums with many hit singles, among which “Holy is the Lord” and “How Great Is Our Lord” are considered as two of the most popular contemporary church songs worldwide. As CCLI acknowledged, Chris Tomlin songs were performed by believers around the world over three million times. He has also won numerous nominations and various rewards and honors such as GMA Dove Award Artist of the Year in 2006, 2007 and 2008, Grammy Award for Best Contemporary Christian Music Album in 2012, and more recently, in 2014 Songwriter of the Year by GMA Dove Award. 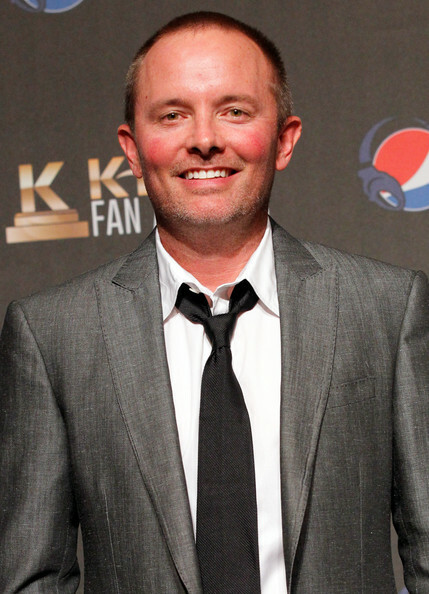 All these accomplishments have certainly positively impacted Chris Tomlin’s net worth. When it comes to his personal life, Chris Tomlin has been married to Lauren Bricken since 2010, and they have two daughters. Concussion 2015 writer: "How Great Is Our God"
Grace Unplugged 2013 performer: "Our God"